Spooky Halloween fun at nightingale !!! 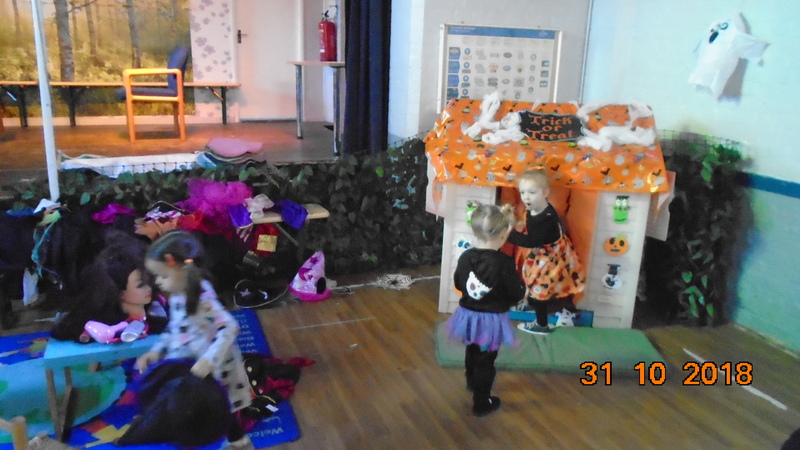 The children had great fun for Halloween, lots of children dressed up and joined in the fun. They used their number skills to match ghosts to the right numeral, played in the spooky house and dressed up. 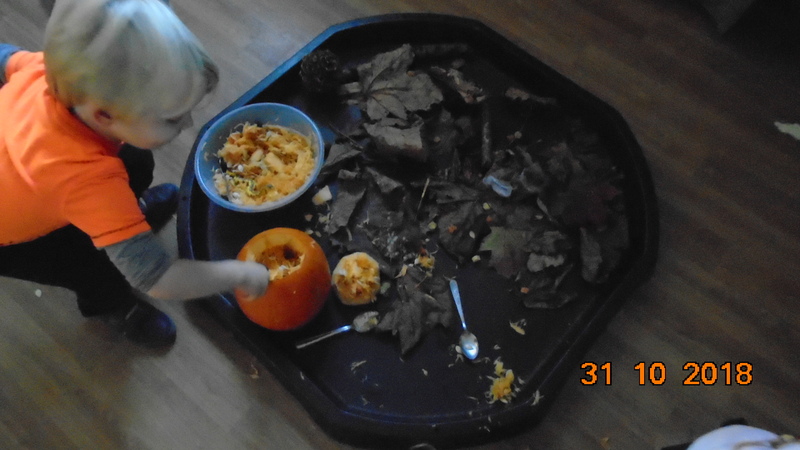 We did some pumpkin carving and found out what is inside a pumpkin. 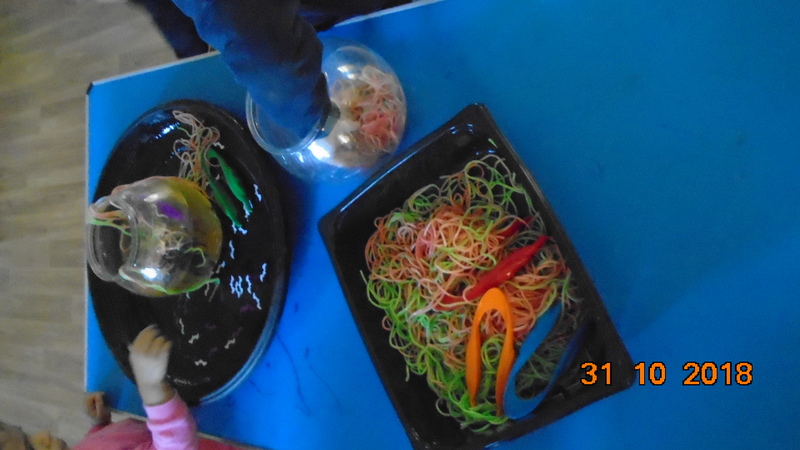 The children also had messy fun using tweezers to get the spiders out of the jelly spaghetti. They practiced their ball rolling skills to knock the ghost cups over. In the garden they had a potions workshop and made mud potions with mud and glitter.